Austria arguably has the best coffee in the world, and perhaps the best online gambling laws. Austria allows land-based gambling and online gambling, with both options regulated to protect players. Offshore casinos are accessible to Austrian players, but sites must comply with the legislation in place. It is 100% legal for Austrians to gamble at land-based casinos in the country. Online gambling is also legal in Austria, but it is heavily regulated. Austrian residents can operate an online casino in Austria and Austrian players can play here. This was established in 2012 when the Austrian government distributed a 15-year online gambling license to Austrian Lotteries, a company owned by Casinos Austria International. This gambling authority is also monitored by the European Commission. But since the Austrian online casino operators can’t accept players from anywhere else in the world, it limits the market and there aren’t as many online casinos available as there are when it comes to foreign sites. 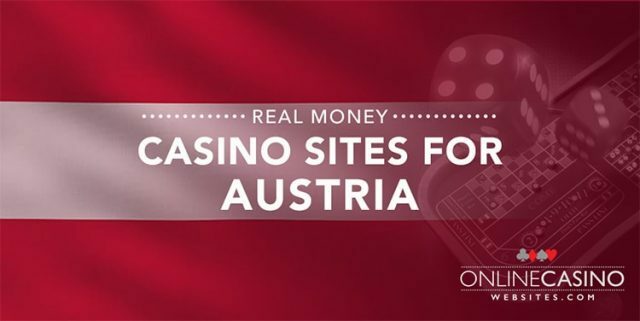 When it comes to offshore online casinos, operators cannot advertise to Austrian players, but the players can gamble at these sites. All of the online casino websites we review and recommend on this site allow players to enable the official language of Austria as their preferred language. All you need to do is click German in the list of available languages, if it does not auto-detect your location. You can pick from the sites listed in table above, but we have detailed a few of the online gambling sites to show you what’s on offer. 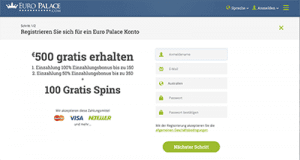 Euro Palace: Euro Palace is a Microgaming powered online casino. What this means is there’s only casino games, such as slots, blackjack, roulette, craps, baccarat, and more available at the online casino, by the one provider. This provider is considered to one of the best in the industry due to the high payout rates – you have a better chance at winning – and entertaining titles. Play Hot Ink by Microgaming for one of the best payout rates on a slot machine – 97.5%. You can also find a live dealer catalogue, featuring blackjack, roulette and more, streamed in real time from a gaming studio, by Evolution Gaming. 32Red: 32Red is also powered by Microgaming but it offers a different experience for Austrian players than Euro Palace. Besides the difference in colour schemes, 32Red offers players €10 no deposit required to try the games out before you make a real money deposit – see below for the available options for Austrian players. You’ll also find a category dedicated to high limit table games so you don’t have to search through all the games if you’re a high roller with a big bankroll. BGO: This online casino is endorsed by Austin Power’s Verne Troyer aka Mini Me and welcomes Austrian players with open arms. It’s a bit different to the above online casinos as it offers an online version of a Las Vegas casino – its stylish, suave and exciting. There’s slots, blackjack, roulette, live table games, and more, by a range of software providers including the top developer Playtech. BetOnline: This site only accepts the USD and the English language to be enabled, but if you don’t mind either factors you can find a sports book here as well as a bookie to punt on America’s best horse races. But that’s not all, there’s also a casino section so you can play the slots, poker, baccarat or other casino games while you wait for the outcome of your sports or racing bet. Factor in the conversion rates from EUR to USD and you will have an entertaining time at BetOnline. Credit, debit and prepaid cards available to use at all off our recommended online casinos – Visa and MasterCard are popular choices. Austrians are eligible to use PayPal for online gambling transactions – unlike Australian’s and other nationalities. This is ideal since PayPal is considered to be the biggest web wallet in the world, and you’re likely to already have an account. If you don’t, you can create one in just minutes by heading to the PayPal website and signing up with your details. You can then link your bank account and use your email address and a self-created password to make a deposit. Use these details to cash out any winnings after you have finished gambling online. PayPal is available at 32Red online casino. 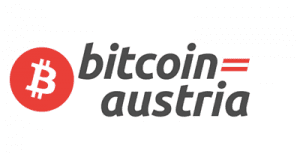 Bitcoin is available at BetOnline, which Austrians can purchase online and use to gamble here to avoid the exchange rates converting EUR to USD incurs.